Ready for You to Fill In, Print and Hand Out! 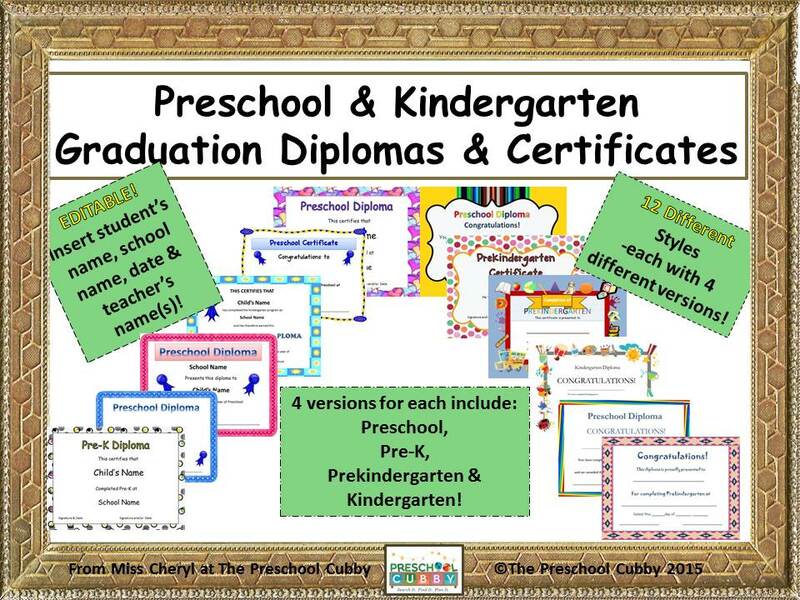 There is so much to plan for and many items to create--including Preschool Graduation Diplomas! With so much to do, why spend time searching for or creating diplomas? This editable packet will save you HOURS of time! And, this packet provides you with so many options! For years, I ran a multi-age program. Some children were moving on to Kindergarten and some were not. We wanted to recognize the big milestone for both groups with our certificates, however, they needed to not be worded the same! For that reason, I've created this packet! 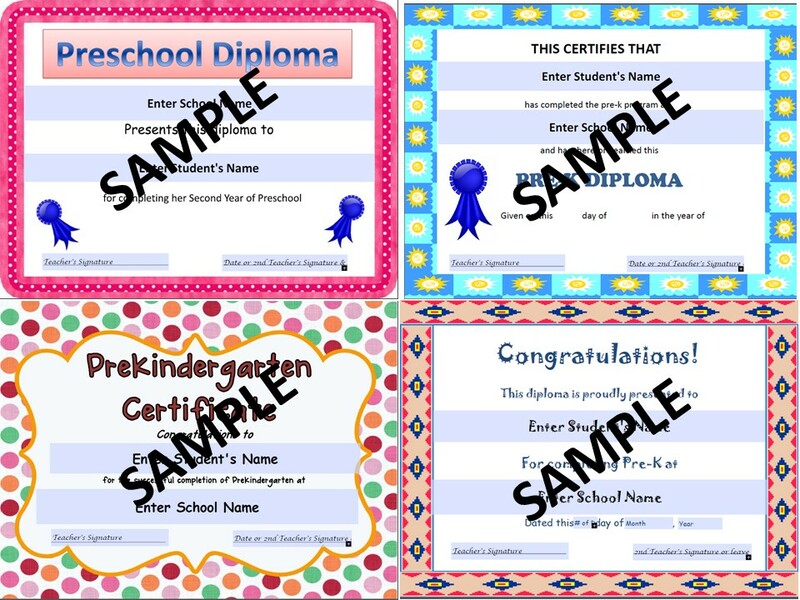 Some certificates recognize the completion of a preschool year whereas others recognize completing pre-kindergarten or prek! In addition, some Kindergarten teachers wanted, of course, diplomas that recognize the completion of Kindergarten. Each certificate in this packet is completely editable. 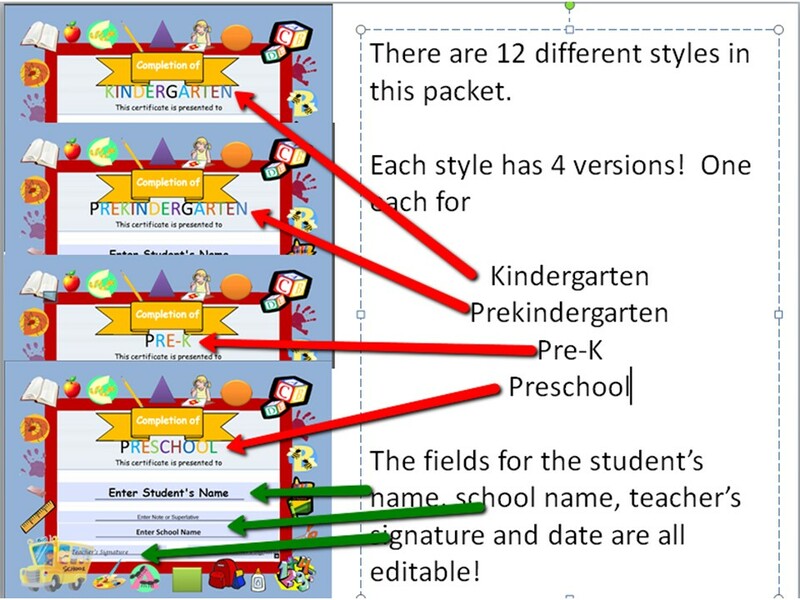 They are in PDF format with editable sections to add the information about each student, teacher, school and date! 55 Page digital packet with 12 template styles and 4 choices of each style. Ideas and suggested uses included! 12 different styles of diplomas. Suggested ideas for several of the templates! ALL diplomas are EDITABLE by YOU! Looking for Preschool Graduation Ideas? Check out my many articles by clicking here!